I am happy to jump in here at My Scandinavian Home this second Sunday of Advent. 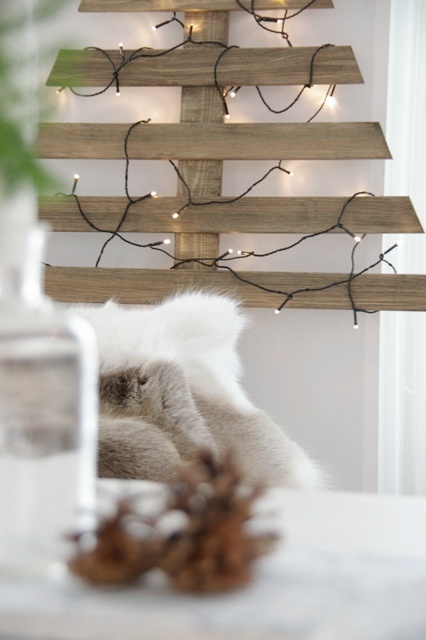 My name is Mette and my blog is called Make-Living which has a DIY focus. This Christmas tree is quite neat. You can make it as big as you like, and can have it both indoors and outdoors. And the best thing is that it lights up any dark space at home without needles all over the floor…..And you can use it year after year!!! A number of 7 cm wide wood panels for the branches (I have used 7). Cut the branches in staggered lengths so that they form the shape of the tree you would like. I made a triangular template in the shape I wanted and then cut the branches accrording to this. How about you? 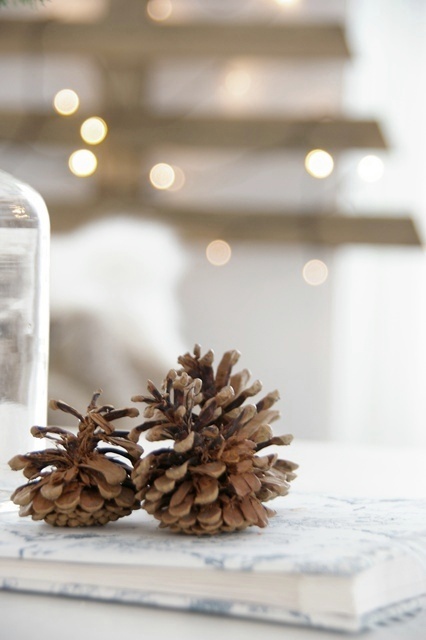 Do you have any plans for Christmas DIY that you'd like to share with My Scandinavian Home and Make-Living? I'd love to hear your ideas. PS. 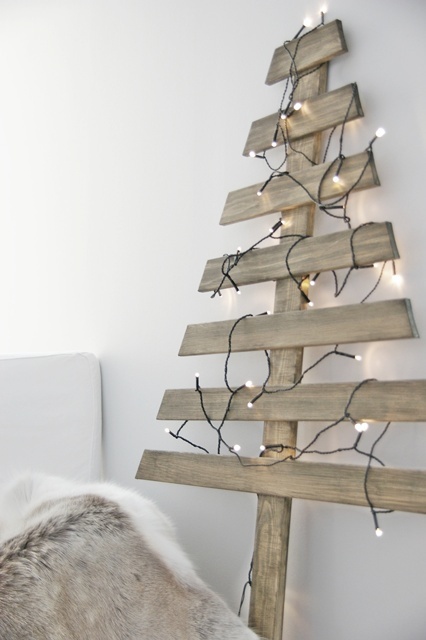 Thank you my lovely man for helping me put this Christmas tree together and thank you Niki for letting me share my Christmas DIY here on My Scandinavian Home. Happy 2nd Sunday of Advent to you all! Me encanta la idea. Las imágenes preciosas. What a great idea! It looks wonderful with the lights draped over it...and would be particularly good if you don't have the space for a big traditional tree. Thank you all for your nice comments! It makes me happy that you liked it. 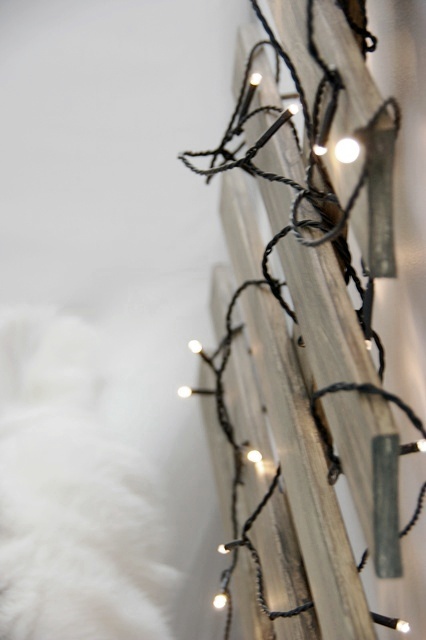 Ashley, I liked your idea of drill little holes into the slats to hang ornaments!!! Just a perfect idea, thank you for sharing with us. I hope you all had a nice weekend! Take care! So simple and pretty! 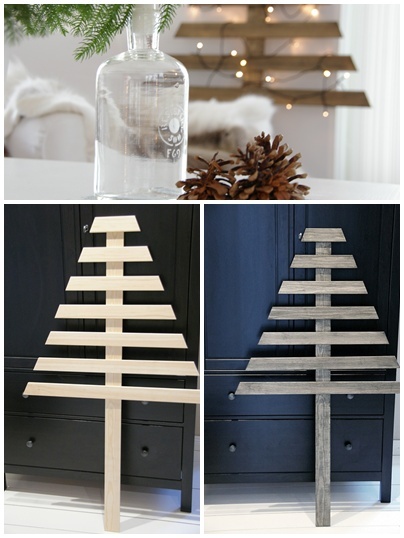 I am loving the idea of a smaller version of this for my office desk!